Finally the perfect notebook for the one step ahead student in you! 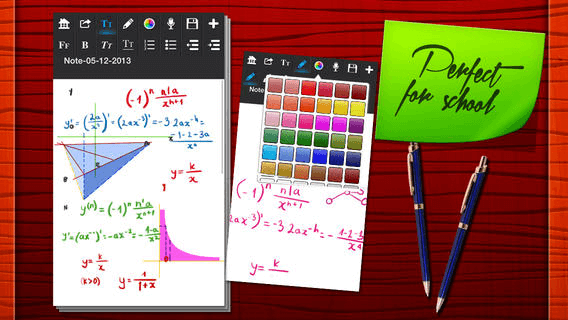 Forget about taking notes the old fashion way with multiple apps for a different task or subject! After much research and with every detail in mind we developed an all inclusive note taking app that incorporates everything you might need to remember the lecture and learn it easily! This app is an amazing fully functional note taking tool perfect for business people, students, teachers or ANYONE who takes notes! 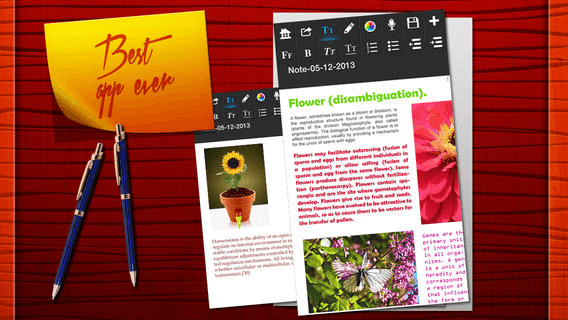 Text editor: Edit Color, size and font of your text. Share notes instantly via email SMS or social media! 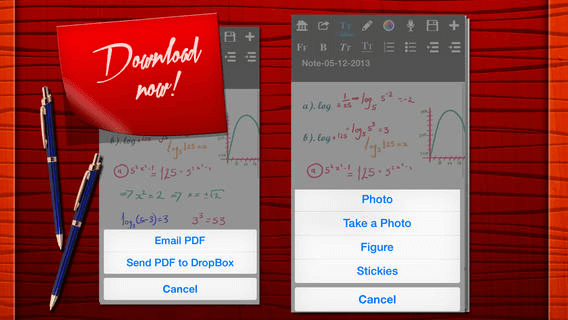 Also, you can save it on Dropbox or your device as a PDF file instantly! Future reference so easy to find! Every note gets saved by date or name so it's easily accessible when you need it most! Drawing pad: not only can you draw and recreate the drawing when you open the note, but you can add shapes with graphs, stickies (un editable text) and different shapes and pictures. 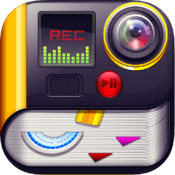 Voice Recorder:You can record individual notes for every single note that you create. This is perfect for college classes or work meeting. 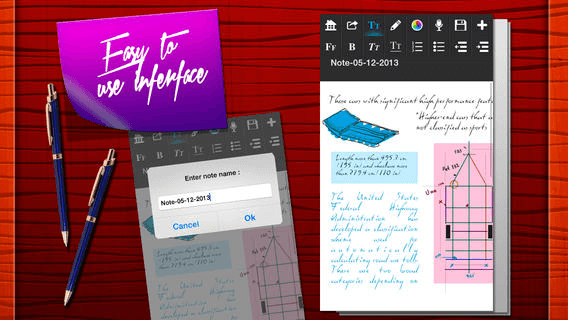 We’ve all seen the notes applications out there… they are all missing a key element…that is why we gathered everything you might need when taking notes into one easy to use application. 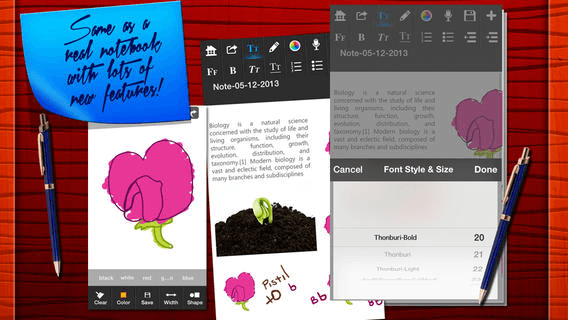 "The Notebook for School is an amazing fully functional note taking application. Perfect for business people, students, teachers or ANYONE who takes notes!". You can flag specific notes using any of the below combinations. Edit Color, size and font of your text. We provide 3 different sizes/thickness for painting. You can select from a quality state of the art color picker andy color that you want. When you open an specific note that contains drawings, the application will re-paint step by step what you previously drew in order to help you understand your notes. You can record individual notes for every single note that you create. This is perfect for college classes or work meeting. Images speak louder than worlds, please see the screenshots!